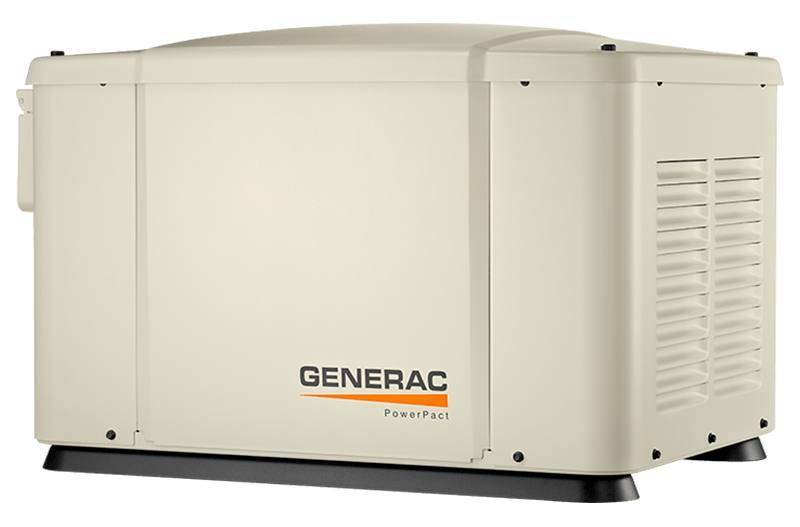 Affordable, Automatic 24/7 Backup Power: With Generac PowerPact you can enjoy peace of mind knowing your home and family are protected 24/7 from the dangers of power outages. Cover just the essential electrical items with the most affordable automatic backup generator available on the market. Generac OHV Engine: The Generac OHV engine is designed for reliability and long-life operation. Digital Controller: Digital controller with LED status and fault indicators. Certified for 18" Installation to the Home: Third-party certified to NFPA standards to be installed as close as 18” from the home’s exterior wall, provided it is located away from doors, windows, and fresh-air intakes, and unless otherwise directed by local codes. Easy Accessibility: Three of the four sides are easily removable for simplified service and maintenance access. All-Weather Steel Enclosure: Our durable powder-coat finish helps make the sturdy, galvanneal steel enclosure perfect for all weather conditions. Continuous Fuel Source - LP or Natural Gas: The engine runs on existing liquid propane or natural gas for a continuous, worry-free fuel supply. Mobile Link™ Compatible: Take advantage of Generac’s Mobile Link cellular remote monitoring system and check on your generator’s status using your computer, tablet or smartphone, even when you are away. Sold separately. Non-cellular remote monitoring options are also available for generator monitoring from inside the home.